Pro Mailing Systems will assist you, your designer, or printer with design issuers related to the rules and regulations of the United States Postal System (USPS). This will result in you not paying more for postage than you have too. Our position is not to make drastic changes in the design, but rather provide information on the best options from the mailing standpoint. This service is quite valuable because at times the USPS can be quite unforgiving. 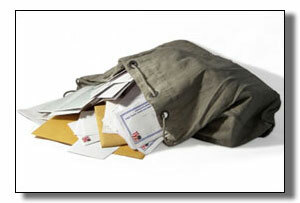 Special requirements for Non-Profit mailing can be appalling compared to the usual Postal Regulations. Pro Mailing Systems knows all the rules and regulations pertaining to Non Profit. We have the mailing equipment and expertise to ensure your mail will be prepared and delivered efficiently and to secure the very lowest postage rates available.